BNZ's economists are suggesting that New Zealand might want to look at lowering its inflation targets. At the moment under the Policy Targets Agreement between the Reserve Bank and the Government, the RBNZ is through monetary policy required to target a level of inflation between 1% and 3%, with 2% the implicit target. However, actual inflation has been consistently undershooting the target and is forecast to do so for some time to come. 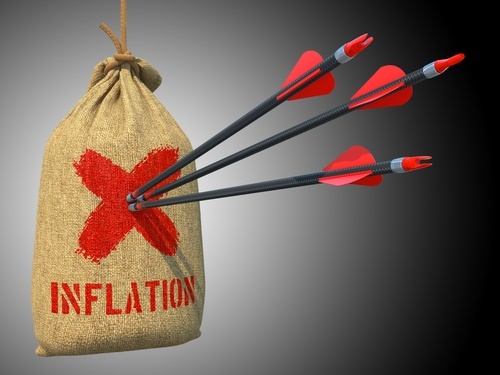 BNZ senior economist Craig Ebert in a paper titled: "Why not a lower inflation target?" poses the question of whether our inflation target is too high in a global economy dominated by central banks easing monetary policy. "This collective easing – by far and away the biggest the world has ever known – has also been instituted in order to pep CPI inflation. Or at least guard against it dipping too much, into dreaded deflation. The bigger the potential undershoot on the CPI the bigger the monetary response. This is being judged by way of precise inflation targets established long before the GFC. Is this reasonable? Is this credible? "We could include New Zealand in this debate. Is its inflation target unreasonably high in the current climate? We wonder if the target band for annual CPI inflation should be lowered from its present 1.0 to 3.0%. Or, in the least, that its lower reaches be tolerated as the “new normal” for the foreseeable future," Ebert said. He said the risk was that monetary policy might be "busting too much of a gut, for too long; causing all manner of economic and financial distortions (if it hasn’t already?) in the vain attempt of driving CPI inflation up a bit, to a precise annual rate. We have to ask; is this arithmetic gone mad"? Ebert said the inflation targeting framework had to be credible in order to work, and should not be the source of deeper problems for the economy and financial system down the track. Ebert said a targeted inflation range of zero to 2%, for example, was not without historical precedent. "And its implied mid-point, of 1.0%, is arguably closer to the Reserve Bank Act’s requirement of “achieving and maintaining price stability” than the 2.0% mid-point of the current 1.0 to 3.0% target band." To try to keep achieving the existing CPI target, in this environment, was tantamount to saying we needed to over-egg the domestic economy, and its internal inflation, in order to hit a precise CPI inflation number as agreed to under the old order, Ebert said. "Might a better response be to accept the foreign-sourced deflation while trying to keep the local economy on an even keel, such that headline CPI inflation, overall, runs on the lower side for as long as it does? "This might suggest 1% inflation rather than 2%. "This would require a renegotiated Policy Targets Agreement, of course, which we’re not exactly forecasting to occur. "But, practically, our arguments could find form in promoting a tolerance of CPI inflation running toward the low end of the present 1.0 to 3.0% target band (even after the transitory impacts of the oil price halving pass out of the arithmetic)," Ebert said. This would tend to affirm a lower inflation premium in nominal interest rates. But it would also take pressure of the RBNZ to keep cutting interest rates with the primary aim of boosting annual CPI inflation back up to 2.0% come what may. "Stepping back, it’s still possible that central banks, the world over, are making a monumental mistake in the super-easy policy they are persevering with. It’s certainly too early to judge. While the impact of this stimulus on growth and CPI inflation will be argued over for decades to come, it might well be creating economic and financial time bombs of far greater significance," Ebert said. "Recent asset price behaviour is a case in point. Why should various asset valuations (and spreads) be pushing boundaries, some extremely so, when the underlying economies are supposedly so weak as to be at risk of spiralling into a deflationary tailspin? "And this is to say nothing about the potential for the mega-easing to eventually be “successful” in driving CPI inflation strongly upwards. All that will take is for the vast amount of global liquidity to start circulating outside the wholesale markets. "For the meantime, however, policymakers are fretting about low and falling CPI inflation, responding along the lines of “we simply can’t have that…so man the printing presses”. Maybe this is the right response. But what if it’s not? Instead of asking how much do we ease, for how long, might the real question be what CPI inflation target should we be aiming for the foreseeable future, precisely?" Gosh. Economist realises RBNZ target of 2% inflation is incompatible with government balancing the books. Who would have thought? If the government balances the books the RBNZ has to keep interest rates below the natural rate in order to encourage 2% inflation. Result - asset bubbles. Happened under Cullen and Bollard, it's happening under English and Wheeler. Yes you're dead right Roger. Globally, pretty much zero or negative real interest rates everywhere are causing massive risks to the world economy, and a period of disflation or mild deflation just prolongs that and inevitably builds the bubbles even further. Central bankers know it, hence the likes of the lack of rate cut here that doesn't need one, and the Fed likely to hike late 2016/early 2017 for exactly that reason. Everyone knows it except for the over-leveraged borrowers who expect to be bailed out forever, and scream for more cuts, and who will be the most hurt by the eventual bursting of the bubble. Mr Grant, what if deflation is the norm, and we don't see inflation again in our life time? Perhaps the few years of inflation, are but a blip in a deflationary world. Whole milk powder futures for June delivery dropped US$230 (NZ$303) a tonne to US$2,400 a tonne on Friday. At last week's GDT auction, whole milk powder fell 9.6 percent to US$2,928 a tonne. Andrew - I'm not terribly into the "this time is different" approach, having heard that statement a multitude of times throughout my career - frankly it never is, but the timelines can be the surprise, plus the extent of the eventual "normalisation" is often massive when enough people truly believe the statement. I don't bet against central banks in the long-term. If they want inflation, they'll eventually get it, however much damage they do to acheive it. I don't see a lot of similarities to past events, certainly not on this scale. I agree Central banks are trying to stamp any thought of deflation out of our minds, can they win the battle or will public opinion swing against them? Yield on 20-year Swiss bonds plunged to 0.10% on January 13 as well. Today, you can get 0.19% for 15 years or 0.31% for 20 years. That's how crazy things are. We never hit peak oil / energy before. In terms of damage well it depends on the NET, so sure there are side effects but which is worse? I cant see but a 1930s like decade or 3 being pretty bad myself, not that I think we can avoid it. ah right sounds so familiar, inflation is coming I tell you, its COMING!!! Grant, your argument is flawed - Why is it everyone believes the rubbish that the only way to control bank lending is with interest rates. Ever heard of responsible fiscal policy? Probably not. Mike B - if you really understood interest rates and the foreign exchange markets you'd realise what a niaive statement that is. Since NZers are not savers, and reliant upon the rest of the world to fund at least a third of our requirements, how do you think those lenders would respond to say 1% interest rate returns here if that was comparable to what they got at home ? What they get is a very big exchange rate risk in investing here, they can not quickly enter and exit the tiny assets market here without the risk of pushing that market adversely against them, and they can't enter or exit this market in volume without the risk of adversely pushing the exchange rate against themselves - understand what that means.There will always be a premium paid to foreign investors to invest here unless we can ever get to self fund, not something I'll see in my life time. Push the OCR to 1% or zero, banks will still have to pay way above that to access funds (both offshore ,and the arbitrage will mean, here too), and will pass that onto borrowers. But what it will do is see plenty of them exit and have to be replaced from somewhere, the currency will go way lower - and that's good ? Try buying some fuel then, or flat screen TV or........ we would all be poorer. Careful what you wish for. I'm a fan or LVR type policies to try to put less pressure on interest rates, but although they've helped (with plenty of adverse consequences for FHBs - although I suspect they might end up thankful for that) its only had a minor impact upon controlling house prices unless you think 13% annual rises in Akld is acceptable.And "responsible lending' the biggest niaive comment of the lot. As I've mentioned on here before, unless youre going to legislate Muldoon or communist style and dictate to financial organisations what, how and to whom they can lend, you will always have period of exhubrence where the lending is less deemed less rational - take human emotion, fear, greed and a stock market price out of the equation and you might get that, but it doesn't work with many other business, or the public as well, so I suspect we're stuck with being who we are, human. NZers save too much of their income already. Why would you save money, if you're paying higher debt elsewhere?? So the only ones who should be able to afford to save are the ones who don't have debts. So if your parents and grandparents are high income earners and didn't get into debt, and you're responsible and lucky to get a good paying job (and preferrably stay in parents home whiler working or studying), then a NZer might enter the work force with a chance to save. The majority of them find they get shoved straight into the debt treadmill - from a vehicle to get to work (most of the country can't have good public transport cost effectively), to clothing, to rent, to food... everything points to debt trap. And if they're paying debt - only a few at the top, often well into their career, or in the few remaining slush industries won't have debt - then it would be economic suicide to "save"
You're being too mico Cowboy - Nzers arent one NZer, or one type of NZer, it is collectively all of us - some of us borrow, some of us save, generally depending upon where we are in the life cycle, but collectively we borrow. There are no excuses for that, and if thats the way we want it, we will alway pay a premium above many others for those borrowings. If we want to save like say the Japanese, we can have 1-2% interest rates, and maybe even grossly mismanage our economy like them, and guarantee those rates until the point they are now reaching where that is not the case as they age and are now losing their self sufficiency, and ultimately, the start of their "premium", which at 2.5% bond rates, instead of 0.25%, will require their full tax take to fund the interest. Hand over your credit card and PIN number then (and only then) will I believe that "collectively all of us". "some" of us "save". Because "some" of us had an advantage. "We" can't save like the japanese because NZ isn't set up with Japanese systems, nor do our employers have a crib-to-grave outlook on employment and our government doesn't support that kind of stability or honesty. But the Japanese like us, are facing an overpopulation for production problem. As a heavily industrialised and civilised (vs colonial) nation they concentrate on self-sufficiency. NZ governments are too busy buying friends with taxpayers resources. The compliance burden per Japanese person is miniscule and the return and recognition of social and cultural arts is huge. In NZ these things were ripped away by governments in order to line their nests and to cosy up to other politicians with dubious social and fiscal policies. Competition was king, push prices as low as possible, kill all margins with punative taxation. That was not happening in Japan during it's growth time. Now that competition has set in, they too face a economic world were that simply won't support that across its population - the short fall is made up by debt....but not by those already in asset rich or privileged positions. It is blamed by those just coming into the system or whose parents don't have the resources - the people who have no choice to go into debt just to make ends meet. Where it is cheaper to buy a Kindle than go to the Library each week. "We" collectively don't have a choice. and it's not because of those of us who are forced into the borrowing seat. I didn't want to upgrade my car, but I lived 40km from work, and the old one was costing over 20c/km a year after it's CNG conversion. debt had to be used. The power board amalgation didn't pay well, and eventually I was fired. So when car needed 4 new tyres, debt had to be used. couldn't get the bank to stretch another $45 for a wheel alignment. so car was garaged when the tyres wore unevenly. Got replacement car for $750 from a mate, turns out he'd cook the engine. Head needed redoing, more debt. bought cheap house rather than rent. more debt. finally got new job with company car. New clothes. Debt. Training. more debt. Wife worked at bank, more debt. transferred with job. more debt. wife left because she'd spent everything. lots more debt. company gave cash incentive rather than company car. more debt. company closed office, got redundancy, cleared debts (not mortgage). bought house in Feilding. more debt. more clothes. more training. more debt. Finished job due to medical issue. work on farm. still paying back debts for shift from dunedin to feilding. more debt from setting up in house on farm (washing machine, fridge, electric frypan). so new rental expenses, and girlfriend set up nest in house, so rent AND debt AND travel. finish at farm. move into flat in town. no income, plenty of debt. try to retrain. more debt. try to get pilots license, lots more debt, fail physical. back on farm. reset up house, farming tools (motorbike etc). Fonterra have bad year (the one after the $7 is here to stay)...massive more debt. Only $270k to pay off now; fonterra payout $4.70. peak debt $730k. God Cowboy, don't take it personally, it was a discussion about the country as a whole not you or your peers - we all go through the life cycles of tough times and easier times, you may be going through the former but it is just a cycle and if you remain comitted and will get through it. I'm fortunate, I've got to that savings stage some time ago, but I was a borrower like most in my younger days and no way could I afford to save until latter life. But as a country net/net, we don't save and are reliant upon what the rest of the world will fund us at for the risks they take in doing so. Why wer'e not net savers, we can debate that forever and I'm not going to start here, but the couple of misguided individuals here that think that NZ can operate on interest rates anywhere near 1% for any time, which afterall was all this thread was about, are either deluted, or more likely from my observation, whilst they spend alot time, don't actually learn anything about the subjects that they're clearly weak on. My whole point is that for many of us, it _isn't_ a cycle. For many there is never a break point. And as long as we're hidden by the collective, those who are above the median think everything is "sort of ok", but for those only the bottom side of the iceberg it's not. However most of them never know enough to realise that it is any other way so they're ALWAYS on the "never-never" plan. (never ahead, never paid off). And they're right. And as long as you're lumpiung it "as a country" those people can't get ahead, and you'll never have a deep enough economy for self reliance. And _the_ problem is compulsory overheads. Grant A - First, you can make money from money with either inflation or deflation. With inflation you are constantly trying to get a higher interest rate to stop inflation wiping out the value of your savings. Santelli Stunned As Janet Yellen Admits "Cash Is Not A Store Of Value"
With deflation your money is increasing in vaule so you need to do nothing to get a return on your money. Even if you put your money under the matress it is still increasing in value. So money does become a store of value. The OCR is nothing more than a childs toy and works like a simple see saw. OCR low and debt starts to climb. Then the see saw tips the other way - OCR goes up and debt goes down. All the time the little people are being hurt. The OCR works on a floating money supply and manipulated by the banks and wealthy people. We would be all better off if we wound the banks back to pre-deregulation days. The days when banks held higher reserves. The days when you could not get a mortgage if the repayments were more the 25% of your income, and so on. But most of all we should maintain a steady and stable money supply that is controlled by the economy and not manipulated by banks. As for savings we are better off if people earned their income rather than rely on money to make money. Then there is the whole debate about taking money creation off the banks. As for the exchange rate. The constant changing interest rates and money supply is a large factor in the exchange rate. You often hear the lies about how the markets "LOVE STABILITY" Just imaging if interest rates stayed at 5% year after year. The OCR remained unchanged year after year. and so one. The markets would be stuffed because they gamble on the changes. That's how the market works. Our economy is designed as a casino for the big players, not as a level playing field that works for everyone.
" Then the see saw tips the other way - OCR goes up and debt goes down"
Actually it still goes up, it just doesn't go up as fast. Stability? 3% is the norm, and you'd have Islamic style lending. Cowboy - when interest rates go up debt does not necessarily go down. Think back, how hard has it been in the last 40 years to control inflation? I'd suggest it has been a constant run away fear. Now look since 2008, quite the reverse, shouldnt you be asking yourself whats different today in a big way to cause what looks like a paradigm shift? Bank economists, - just another spin on we expect inflation, fix now. Funny thing but the likes of Paul Krugman talks about the 2% being too low and 4% "better"
Banks realise an OCR cut is certainly coming. Trying to rationalise as to why this should not happen. "Rates must stay relatively high" is the official wisdom. The lower the OCR the sooner the banks can up the interest rates. I would like to see on OCR of zero 1% to plus 1% and good fiscal responsibility such as more control on LVR's etc. An OCR is cut to save over leveraged people from losing their equity when inflation is non-existant and to supposedly stimulate the economy world-wide to prevent the 1% joining the over leveraged via a pump and dump mechanism as per the Fed., ECB etc..
Never has the world been in such a mess financially as the usual stimulation methods were optimistically applied as the entire World is in total debt of trillions, not billions as per 2008 fiasco. It is a fallacy that when your customers are indebted more than you, they can keep borrowing to infinity, when you are under the illusion, it was just you and inflation would clean up all bets to the con-trary and that your currency can drop to infinity when shorted and hedged and derived from derivitives, not practical applications worth having. When billions are lost and trillions take their place owed for loss making projects, there is only one result. And it is not just a Greek practise to live beyond their means. And wish to keep doing so. So do all over leveraged and those who bet on oil and commodoties...and inflated houses. Sub-prime was one result. Now it is sub-human when currency wars result in real ones. And all over bleedin houses and big...oil.... not fair trade for all concerned at fair prices.for a fair days work ..compared to others...etc..
OCR is cut so banks have breathing room on their margin lending. We live in a different world from when the CPI targets were set. With money printing, negative interest rates, free trade deals, increased imports and exports. Its time to reasess. D-E-F-L-A-T-I-O-N ..............here's a bet , if we were to rmeasure CPI today , I'll bet $100 which I will donate to Int.co.nz 's favourite chariity that it would be either zero or negative . You can wait until the 23rd Apr Boatman and know for sure - currently expected at +0.1% so a zero or a minus is always a possiblity and will be of no surprise to markets, although it will be an excuse to take wholesale fixed rates down, and no doubt the banks will take retail ones down with it if that is the case. Oil prices have taken around 1% off the number on an annualised basis in the 1st Qtr so its a no-brainer that the world's gone from low inflation to small deflation position. Oil at $45 and below the cost of production forever ? At the time of the last PTA setting, when Mr Wheeler was appointed, Labour, NZ First and the Greens all argued for revised targets, but neither the Nats or Wheeler agreed at the time. I don't recall the major banks suggesting that the RBNZ should in fact have separate targets at the time, so it does smack of possibly self serving convenience that one of them should do so now. Other countries clearly do have different targets, overt and covert. The US focuses on inflation and employment. Singapore focuses on their current account. Many others seem primarily to be interested in the competitiveness of their trading industries, in an effort to protect market share. All have inflation as a significant but not sole target. Whatever our targets are, I would prefer they were transparent. Simply moving the inflation target down to 1% or zero or minus 1% or whatever lower band suits the banks should not be the core target. Economic activity in some way should be, whether it be employment, trading competitiveness, GDP per capita or whatever. A significant risk in allowing or encouraging zero to 1% being the new norm, is that it is harder for economic ativity to adjust to new demands. There have to be winners and losers even in nominal terms. Wages get stuck, and you are either employed or not. There is no gradual easing of debt. The BNZ clearly accept that 2% inflation isn't going to happen within current RBNZ tools, other than with an OCR cut. And they accept that the PTA agreement doesn't look like being renegotiated. Ipso facto, the RBNZ either has to ignore the PTA agreement, or lower rates, and fairly aggressively. Yes, the RBNZ was happy enough to ignore the inflation target when it was well above it under the previous governor, maybe the new governor will be happy enough to ignore it when it's a bit low. The RBNZ expects the March Quarter CPI to come in around Zero. The RBNZ target is 2%. They will miss the target by a long shot. Stephen L, i sort of agree with you. I am oposed to pushing for growth on the back of debt. If the ony way to avoid deflation is with massive debt then we are best to stick with deflation. Once the emerging Deflation starts affecting wages and wages and salaries then interest rates will be lowered further to even more emergency settings. Anyone ready for a Zero wage rise this year? Or a minus 1% wage round next year? Whether you like it or not Deflation is here for a while yet, and low interest rates are here for a while longer yet. NZ will need to cut further over the next 2 years. Yes, they are constantly trying to talk the economy up, put simply, lying to us like we are stupid.